I love bagels. Bagels do not love thighs however. Today, we splurged! 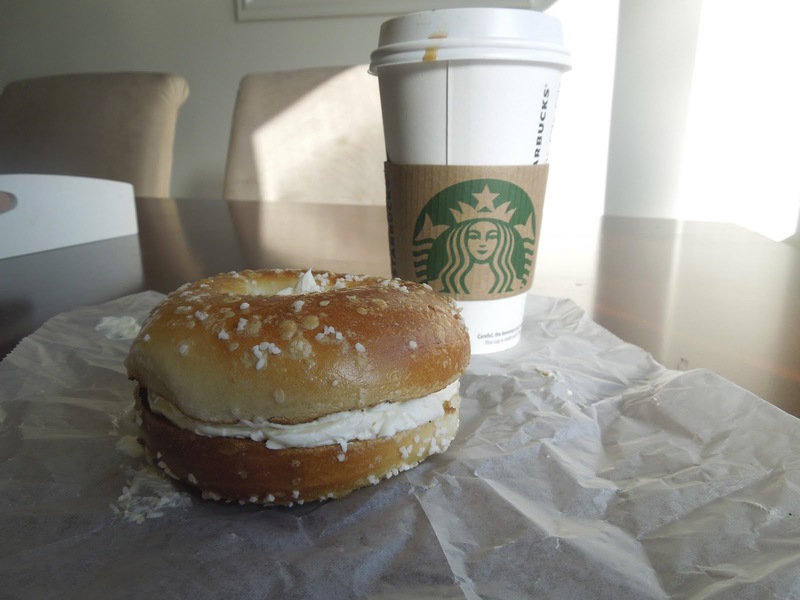 Salt bagel with low fat veggie cream cheese. My favorite. 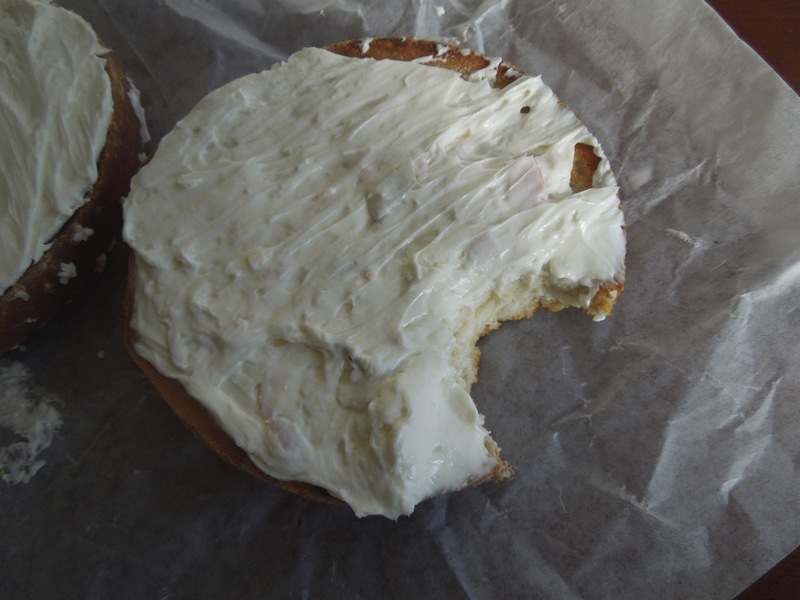 Every trip to Mr. Bagel entails a serious choice: sweet or savory? Today savory won. Hot coffee with cinnamon and soy milk. CHOMP! Have a good day :) Be back later!